Florida Community Association Journal is excited to present the second annual Central Florida Preferred Service Provider Guide (See June 2016 for the first Central Florida Service Guide). These service providers have proven by their track record a willingness and desire to serve community associations in the Central Florida area. We have included a brief company profile, a profile of a company principal, or a best practice tip from these service providers, and we encourage our readers to learn more about these companies by visiting their websites or contacting them directly. Absolute Aluminum has taken the lead in the design and engineering of carports structures. Our carports meet all hurricane standards and are insurable. Our carport crews have years of experience in managing large projects. We keep our sites clean and keep the owners and property managers happy. Our staff can help design a carport that maintains the architectural elements of the property. We can engineer and fabricate our structures to streamline the time spent in the field. Our team can bring projects in on schedule, and we have satisfied clients who are great references. With more than 76,000 installations and serving all of Florida, why choose anyone else? For more information on Absolute Aluminum, call Terry Brownlee at (941) 497-7777, e-mail him at tbrownlee@absolutealuminum.com, or visit www.absolutealuminum.com. 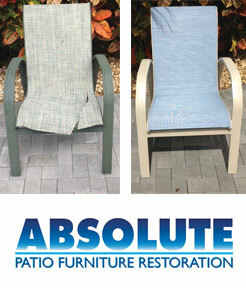 For more information on Absolute Patio Furniture Restoration, call (954) 917-2715 or visit www.absolutepowdercoat.com. Collecting late association dues is a delicate business requiring a specialized finesse to both maintain a positive relationship with your residents while applying industry best-practices collection techniques that work. How many vendors produce results and are willing to work for the board for free? 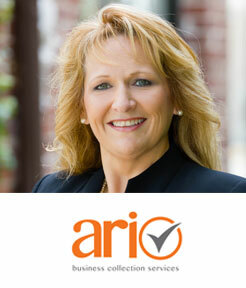 ARI offers a unique beginning-to-end solution designed to transform the operation of your Accounts Receivable process. For more information on Accounts Receivables Inc., call (561) 697-4911 or visit www.4aronline.com. Your community is far more than houses. Communities are families, friends, and neighbors. Vibrant and successful communities enjoy engaged and informed homeowners, equitable governance policies, prudent financial operations, and well-counseled board members who are free to focus on their role of leadership. A family-owned local business, Aegis consists of a team of community managers, accountants, closing and collection agents, maintenance personnel, and administrative staff who deliver the specialized care your community needs. It is Aegis’s philosophy that a truly productive relationship with a client partner is built first on the principle of uncompromising integrity, and then by offering experienced guidance and innovative management service. Aegis is your resource for enhancing a positive homeownership experience for both the board of directors and the members of the community. 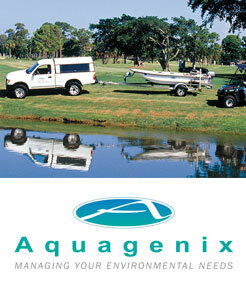 For more information on Aquagenix, call (800) 832-5253 or visit www.aquagenixaquatics.com. Community associations shouldn’t put out the welcome mat for invasive aquatic plants that weave trouble in Florida’s ponds, lakes, and canals. Alligator weed, bladderwort, duck weed, hydrilla, and pennywort form woven mats that reduce water flow and quality by preventing light penetration and oxygenation of the water, choking out native beneficial plants. Some mats are so dense that fish cannot live under them. 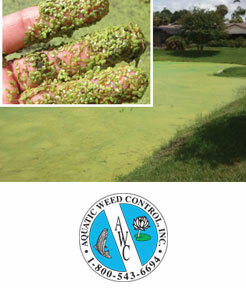 Aquatic Weed Control will go to the mat for you to keep your waterway clear, clean, and beautiful. Call (800) 543-6694 today to request your free estimate for a waterway management program custom designed for your community. Communities go to great efforts to keep up their curb appeal and maintain property values. But the next time you drive into your community, look down as well as around. Do your roads match the rest of the look of the community? Cracks, potholes, and other blemishes are signs that your community may be missing a final stroke of beautification. Luckily, this is our expertise! 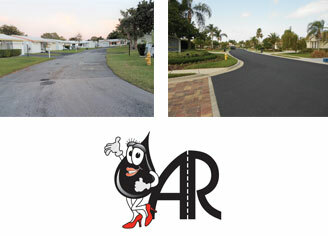 Asphalt Restoration Technology Systems Inc. (AR Tech), led by Connie Lorenz, also known as the “Asphaltchick,” provides education and consultation services on proper asphalt maintenance. As a multi-year recipient of the Florida Reader’s Choice Award, Pulse of the City Awards, and one the of Top 50 Asphalt Contractors in the country four years and running through Pavement Maintenance and Reconstruction Magazine, we are the team to turn to! We provide a no-cost, property specific, detailed evaluation, with our proposals and offer board presentations to explain the different options available for pavement maintenance today. So, the next time you drive through your community, look at it with a different lens and give us a call. Association Reserves was established in 1986 as a professional consulting firm serving community associations throughout the United States and abroad. To date, our firm has completed more than 45,000 reserve studies for properties of all types, including condominium and homeowners associations, community development districts, timeshare and resort properties, commercial facilities, worship facilities, and more. Our Florida regional office has worked with association clients throughout the state, providing essential guidance that incorporates specific insights into the regional costs, climate factors, and other characteristics that are unique to Florida communities. All key staff members are credentialed professionals with many years of experience serving community associations, and our time-tested approach, user-friendly documents, and commitment to excellence have made us a multiple-time FLCAJ Readers’ Choice Award winner. 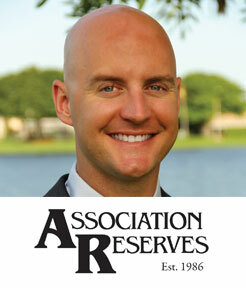 To learn more about how Association Reserves can help your association, please give us a call at (800) 706-4560 or visit us online at www.ReserveStudy.com. Becker & Poliakoff is a multi-practice commercial law firm with more than 130 attorneys, lobbyists, and other professionals. The firm is most well-known for its pioneering role in creating the law pertaining to common ownership housing operations. The attorneys in our community association practice group cover the entire spectrum of legal counseling of condominium, co-op, timeshare, and homeowners associations. The firm has offices throughout Florida with a strong presence in Central Florida led by Harry W. Carls and Robert Taylor, co-managing shareholders of our Orlando office. Their practices focus on community association law, providing a variety of legal services to condominium, homeowner, cooperative and timeshare associations including corporate governance issues, covenant enforcement, collections/foreclosure, and other disputes. Yeline Goin, also based in Orlando, represents local governments and other entities in Tallahassee. Goin runs our Community Association Leadership Lobby (“CALL”), which advocates on behalf of the firm’s 4,000-plus community association clients by monitoring and responding to legislation that can significantly affect common ownership housing communities. 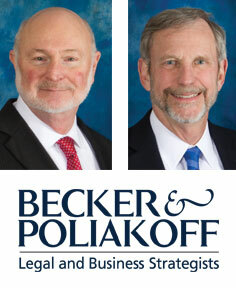 Construction law is another core practice for Becker & Poliakoff. Our teams of Board Certified Construction attorneys handle every type of construction-related case and represent clients in both transactions and disputes ranging from single- and multi-family dwellings to large commercial buildings, planned unit developments, multi-use retail, indus-trial, and governmental projects. 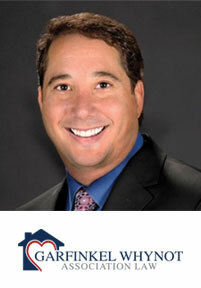 For more information on Becker & Poliakoff, call our Orlando office at (407) 875-0955. 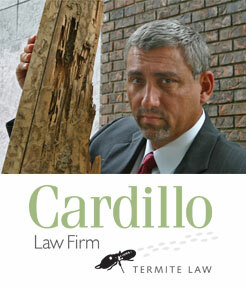 For the last 13 years, Cardillo Law, located in Tampa, has been focusing its practice on defending the rights of real estate owners, community associations, and unit owners who have experienced structural termite damage or wood decay damage due to improper termite treatment, or who have been sold termite-damaged property. Know your legal rights and call us! You may be able to collect from your insurance company or exterminator even if the damage is discovered years after the problems have occurred. We offer free phone consultation. For more information on Cardillo Law Firm, call (877) 642-2873 or visit www.cardillolaw.com. 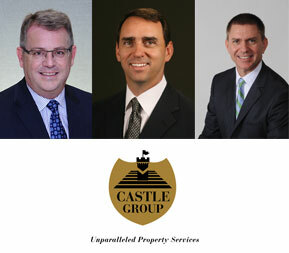 Castle Group is Florida’s choice for community management, specializing in serving the finest condominium and homeowner associations throughout the state. The company’s philosophy is an unwavering focus on the resident experience; at Castle, it is called Royal Service. Castle is owned by CPAs who oversee a powerful combination of incredible people, streamlined systems, and advanced technology. Since no two properties are identical, Castle has created a menu of services that allows customers to create a solution that fits their needs. Castle does not manage an exceptional number of communities, just a number of exceptional ones. 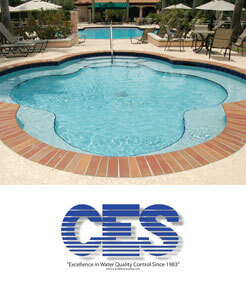 Since 1983, Commercial Energy Specialists (CES) has provided “supply and support” water treatment programs for thousands of institutional and commercial swimming pools, spas, waterparks, and water features. Current clients include many cities, counties, school boards, universities, Disney, major waterparks, resorts, motels, and condominiums. Year after year, CES has been rated number one among aquatic water treatment companies by the top commercial equipment manufacturers in the industry. CondoJobs Recruiting Service is Florida’s premier recruiting service, dedicated to meeting the needs of community association board members and managers for 30 years. Our resolution is to continue to meet the changing and growing needs of community associations, condominiums, homeowners associations, and cooperatives. We are committed to providing the information, resources, and services you need to operate your associations effectively and efficiently. It is our ongoing goal to match licensed community association managers with communities and management companies who are in need of their services. We always have available managers and open jobs to offer. 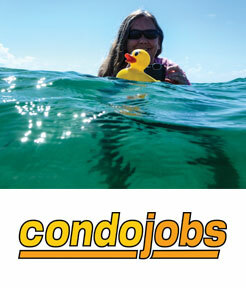 You may view a current list of open positions on our website at CondoJobs.com. For more information on CondoJobs, you may call Lisa Pinder at (561) 791-0426 or e-mail Lisa@CondoJobs.com. 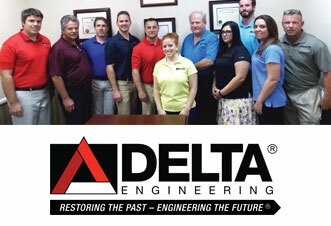 Delta Engineering and Inspection Inc. (Delta) is a professional consulting and licensed engineering firm, which has provided inspection, engineering, project management, and expert witness services to community associations, owners, developers, contractors, attorneys, architects, and lending institutions since 1999. Our team of multi-disciplined engineers, certified inspectors, and construction professionals utilize sound engineering principles and practical judgment in determining the best approach for your project. Delta is fully licensed and insured and offers a broad range of professional services tailored to our clients’ specific needs. Delta provides services throughout the state with offices in Sarasota, Naples, and Clearwater. Envera Systems is making community security more effective and efficient with systems and services for gates, entrances, clubhouses, pools, and other amenities. Through high-speed Internet, Envera’s Virtual Guards connect to homeowner associations, condominium associations, apartment complexes, and community development districts. The industry-leading Central Station with Envera’s Virtual Guards operates 24 hours a day, 365 days a year to increase the safety of communities. Envera’s solutions include the Virtual Gate Guard, which can replace a community’s telephone entry or traditional security guard. 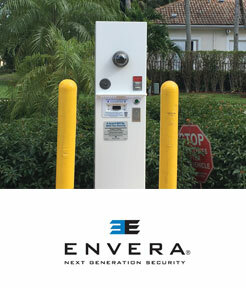 Envera offers two Kiosk systems—The Automatic License Plate Reader or the Driver’s License Scanner. Both systems expedite entry transactions, increase the safety of the community by verifying the visiting vehicles or drivers entering a community, and store each transaction as recall for incidents. To increase the safety at non-gated entrances and amenities, Envera’s solutions include passive video surveillance, active video surveillance, access control, and burglar alarm systems. The measures can prevent and capture evidence in the event of trespassers. Learn more about these security solutions by visiting the website, www.enverasystems.com or call (855) 380-1274.
development for community association managers and management companies, license applicants, service providers, and boards of directors. We offer continuing education courses, pre-licensing courses, staff development workshops, customized course materials, assessment tools, and coaching services. It is believed that Betsy is the only expert in the field of Florida community association training who is a certified advanced behavior specialist, certified image consultant, professional development coach, speaker, and trainer, a Florida licensed CAM, and CFCAM-Certified Florida Community Association Manager. She is a member of FCAP, CAI National, CAI Central Florida, Lake Sumter SHRM, and Toastmasters International. Betsy’s articles are featured monthly in FLCAJ, a magazine that supports all aspects of community association management. Gov. Rick Scott appointed Betsy in 2013 to serve on the Florida Regulatory Council for Community Association Managers. She is also an expert witness. Betsy was recently named by FLCAJ as one of the 2016 Distinguished Women of the Industry. 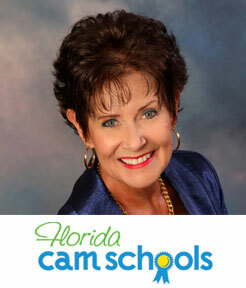 For more information on Florida CAM Schools, call (352) 326-8365, e-mail Betsy@FloridaCAMSchools.com, or visit www.FloridaCAMSchools.com. Friends of Bats is a family-owned and-operated Florida business focused exclusively on delivering safe and humane people- and bat-friendly solutions to bat issues throughout Florida. Bat removal and prevention, and education is our only business. Over the past 15 years, we have provided exclusion services for thousands of satisfied customers. We are fully insured and offer free inspections, firm price quotes, and guaranteed work. 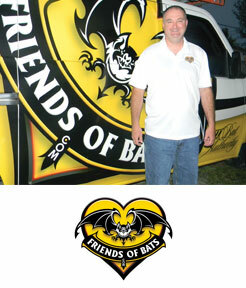 For more information, call Dan, John, or David at (888) 758-2287 or visit www.friendsofbats.com. Garfinkel Whynot is a law firm passionately representing community associations. We help associations recover money for repairs from contractors (insurance companies) and others who have caused defects and property damage. Some defects are obvious and are called “patent.” Other defects are hidden or do not become apparent until years after your community was built. We handle most of these defect and property damage claims on full contingency, where your association does not pay a penny for engineering costs or attorney’s fees unless we win! Our attorneys choose not to represent developers, banks, insurance companies, or anyone else who may have interests adverse to our community association clients. Our law firm has received the highest rating (AV) for ethics and legal ability. For more information on Garfinkel Whynot Association Law, call (866) LOVE-GW-LAW (866-568-3495) or visit www.MyGWLaw.com. While we hear of beach erosion, very little is said about erosion along inland waterways in association communities throughout Florida. Fluctuating water levels result in unstable land, causing dangerous conditions for residents living on these properties. As land slides into lakes, homes can flood, residents and landscapers face dangers from collapsing land, and exposed cable lines are subject to damage and costly repairs. Without proper maintenance, erosion results in dangerous conditions for residents and golfers, ruins views, and causes legal problems for associations charged with overseeing these waterways. We notice this fluctuation during times of drought and after heavy rainfall. Without continual care, these bodies of water fall into disrepair, resulting in unsightly and potentially dangerous conditions. There are several strategies to control shoreline erosion. Some include installing sandbags, rocks, and trees. These are band aids. Two permanent and eco-friendly erosion-control technologies are Shoresox™ and Dredgesox™. These strategies remove sediment from waterways and reclaim shorelines. They are environmentally safe because they stabilize the shoreline by planting and/or sodding directly through mesh armoring, establishing newly rooted vegetation. They permanently halt erosion as well as following Best Management Practices. Basically, we are filling a huge sock with rich organic sediment removed from waterways and lining shorelines with it. Once it is sodded and rooted, it becomes a permanent “living shoreline” not susceptible to further erosion. The sock also provides a filtration system, preventing fertilizers from polluting the lakes. This process has re-claimed up to 10 feet of eroded shoreline. 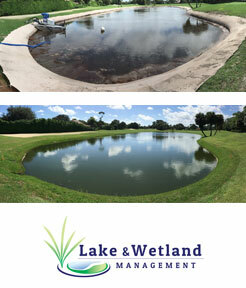 For more information on Lake and Wetland Management, call (407) 985-4263 or visit www.lakeandwetland.com. 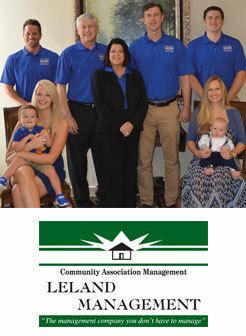 Leland Management is a leading community association management firm that has been managing Florida condominium and home-owner associations for more than 15 years. 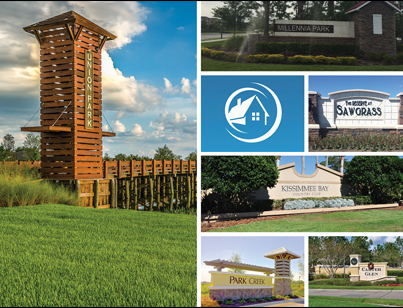 We have 15 offices located throughout Florida and currently manage more than 400 associations ranging in size from less than 50 homes to approximately 4000 homes. Leland is a full-service management company with seasoned professionals who pride themselves in providing the best quality service to the communities they serve. We have more than 75 licensed community association managers who average more than seven years of experience, giving the company more than 500 years of total manager experience. Our managers carry numerous advanced professional designations, and we have an effective system for sharing this expertise within the company and with our communities. For more information, call (888) 465-0346 or visit www.LelandManagement.com. PeytonBolin PL is a law firm dedicated to enriching the community association industry through legal counsel and education. Community association law is more than just collections (and collections are important to keep cash flow and revenue moving)! We provide the guidance and strategy for boards and managers to produce the kind of community they are committed to. Not every association wants the same thing, and not every law firm is the right fit. We are looking for clients who want to work collaboratively with us to produce results! We provide innovative billing structures to help associations achieve their goals. Board and manager education makes a difference. Join us for classes online and in person. 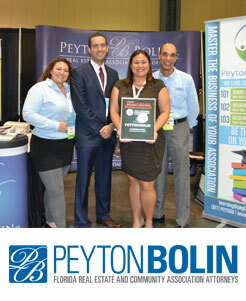 Be sure to check out Jane F. Bolin’s new book Mastering the Business of Your Association, which can be found on Amazon! Roof-A-Cide is a family-owned business started in 1992 to make roof cleaning obsolete. Roof-A-Cide is EPA-approved, non-toxic, and approved by every major roof manufacturer of shingle, tile, and stone-coated steel roofs. Roof-A-Cide safely and cost-effectively prevents roof stains for years with each spray—eliminating the need for repeated roof cleaning and the potential damage associated with it. If we have to clean your roofs, it’ll be one last time! We partner with roofing, painting, and pressure cleaning companies in every major market in Florida to provide communities with an environmentally safe and cost-effective choice to maintain roofs without repea-ted pressure cleaning or toxic chemicals like chlorine bleach. A gentle spray every two years is all you need to keep your roofs looking like new year after year, guaranteed. We provide excellent value and service, and we look to create strong relationships and customers for life. This, combined with more than 25 years of proven results in HOA and condominium communities, is something that no other company in the HOA and condominium industry can offer. 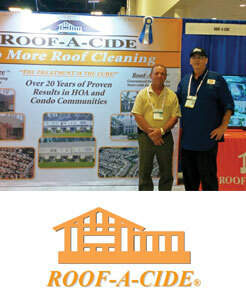 For more information on Roof-A-Cide, call (800) 806-6727 or visit www.roof-a-cide.com. The Melrose Management Partnership, led by CEO Jack Hanson, is a leader in modern community and lifestyle management services. For 25 years, Melrose has managed the affairs of more than 1,000 associations and 200,000 dwellings throughout Florida. Specializing in a wide spectrum of housing alternatives, including single-family and multi-family residential, condominiums, office condominiums, and townhomes, our organization prides itself in having solid insight into the needs and concerns of each individual association we serve. We believe that achieving excellence in community management and lifestyle services requires an organization that makes a commitment to quality, service, and integrity. 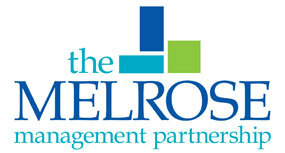 For more information on The Melrose Management Partnership, call (800) 647-0055 or visit our website at www.melrosemanagement.com to learn how we can help you achieve Excellence in your Community. 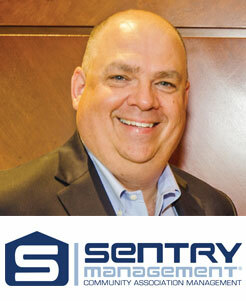 Sentry Management was founded in 1975. We have grown to be the largest homeowners association and condominium management firm in the U.S. with headquarters in Florida. CommunityPro® is Sentry’s exclusive management and communications software. It makes the community manager more productive and board members better informed. CommunityPro® PORTAL is the free password-protected website provided to every community. All the Commu-nityPro® technology, online payment acceptance, and real-time online financial and management reports are standard. Florida offices are in Brevard County—Space Coast, Clermont, Fort Myers, Kissimmee, Longwood—Orlando, Naples, Pasco County—Tampa North, Ponte Vedra—Jacksonville, Sarasota, Tampa Bay—Clearwater, Tavares—Ocala, and Volusia County—New Smyrna Beach. For more information on Sentry Management, call (800) 932-6636 or visit www.sentrymgt.com. The Titan Way… Protect. Enhance. Preserve. As a privately-owned organization, Titan Management is a dynamic and vibrant company whose solid business foundation and reputation is firmly rooted in the talent and dedication of its people and how they effectively serve the communities they manage. Their mission to create superior association management through quality client engagement and education is what drives every action and process needed to meet the standards set by both their many HOA boards and themselves. As President and CEO, Mr. Sanchez has deeply woven his passions for superior cust-omer service and integrity into the fabric of the Central Florida community. He is a successful entrepreneur in the areas of land management, consulting, and development. His skill and expertise for analyzing current government affairs, real estate market trends, values and opportunities have established him as a critical asset to many successful business transactions. In addition, his engagement within both the local community and state government have allowed him to be an effective and strong champion for many local charities and causes that are important to many communities and residents within the Central Florida area. 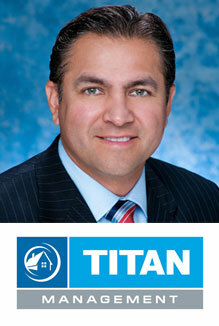 For more information on Titan Management, call (407) 705-2190 or visit www.titanhoa.com. Towers Property Management is owned by Benjamin Isip, CMCA, AMS, and President; and Emily Towers Isip, CMCA, AMS, and Vice President. 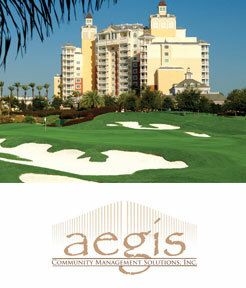 They serve associations in Orange, Seminole, and Osceola counties. Towers Property Management provides full-service management for homeowners associations, condominiums, and townhome communities. For the self-managed community, they offer consulting and bookkeeping services. They believe that every community deserves professional management, if they desire it, regardless of the community’s size. Their mission is to provide association clients with professional, personal customer service; experience and access to resources; and the support needed to help them reach their strategic goals. 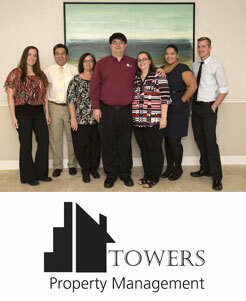 Towers’ goal is to provide personal service beyond expectations in a climate of excellence and quality. Robert Shreffler performs condition surveys and prepares structural repair specifications and bid documents for renovation and restoration projects. His scope of service includes site assessments, structural analysis, report preparation, CA and turn over reviews. He also performs forensic investigations and serves as a consultant for legal issues. 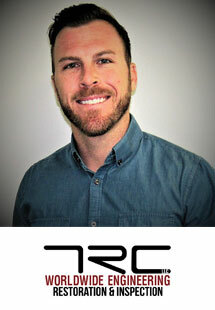 Robert holds a Bachelor of Science in Civil Engineering from the University of South Florida and is a member of the American Society of Civil Engineers, Florida Engineering Society and ICRI. For more information on TRC Worldwide Engineering Restoration & Inspection, call our Tampa office at (813) 960-3895, Ft. Lauderdale office at (954) 484-7777, or Ft. Myers at (239) 939-1414, or visit www.trcww.com. 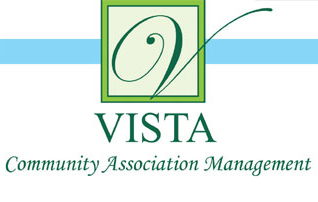 Vista Community Association Management has been helping associations for more than 20 years. Seiya and Tina Yamada purchased Vista CAM in 2013 and have been steadily instilling their beliefs and values into everything they do. Vista provides a wide range of services throughout the Central Florida and Jacksonville areas. We offer portfolio and on-site management services, accounting-only services, and a la carte services to homeowners associations, condominium associations, and professional business parks. For morev information on Vista Community Association Management, call (407) 682-3443 or visit www.vista-cam.com. At Whitaker Contracting, with 60 years of experience as both general contractor and sub-contractor, we provide a wide range of paving services to private, commercial, and government agencies. 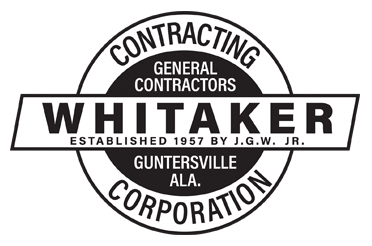 Whitaker has grown to be one of the leading pavement contractors in the southeast with vast experience in all types of paving work; we are a licensed, bonded, and insured company. Whether your paving needs are for commercial developments, highways, or private use, Whitaker has the expertise and resources necessary to complete your project and help you make the right paving decisions. Whitaker is focused on pavement preservation in Florida and manufactures, installs, and guarantees HA5, a High Density Mineral Bond that has been specified as such in numerous agencies across the US. HA5 provides an armor-like shell with exceptionally high durability that extends the life of asphalt, saving you money. Not only does HA5 make your roads last longer, but it results in high public appeal because of its long-lasting black color. HA5 also contains a protective barrier from ultraviolet rays, which accelerate pavement deterioration. HA5 reduces cracking and raveling by blocking the harmful damage of the sun and the rain, greatly extending the life of the pavement. The performance of HA5 is backed by an industry best 5-year standard. For more information on Whitaker Contracting, call (813) 468-4576 or visit www.whitaker-contracting.com. World of Homes is a family-owned and-operated multi-functional real estate company, which provides community association management, developer construction management, and transition, as well as real estate and property management. 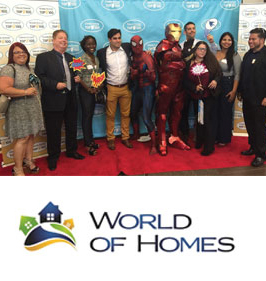 With current locations in downtown Orlando and Kissimmee, World of Homes serves more than 100 associations with 40 of those being loyal clients for over a decade. Their specialty is in customizing services and educating the boards, homeowners, and clients they serve. Their goal is to invest in their staff, associations, and clients to create relationships and build communities. They know if they focus on people, families, and relationships, they can create solutions one phone call, e-mail, and handshake at a time. In 2016 alone, customers and peers rewarded them with five awards for their services. They remain committed to expanding their reach while maintaining their excellent service. For more information on World of Homes, visit www.mywoh.com.